Stakeholders' value conflicts often make disputes over the management of water resources in the United States seem irreconcilable. And yet, in a few cases, consensus building processes have helped stakeholders generate agreements on new policies and programs. This book examines failed and successful attempts at building agreement for two prolonged water conflicts in California and Florida. The findings show that theories of consensus building and conflict framing provide useful insights, but they are insufficient. Trading zone theory provides missing ideas about how we can work through our value differences together to generate practical solutions for pressing problems of water management. 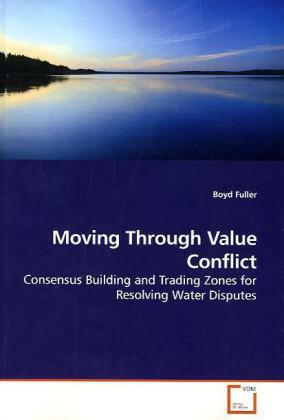 This book is an invaluable resource for academics and practitioners working on or studying divisive water conflicts.